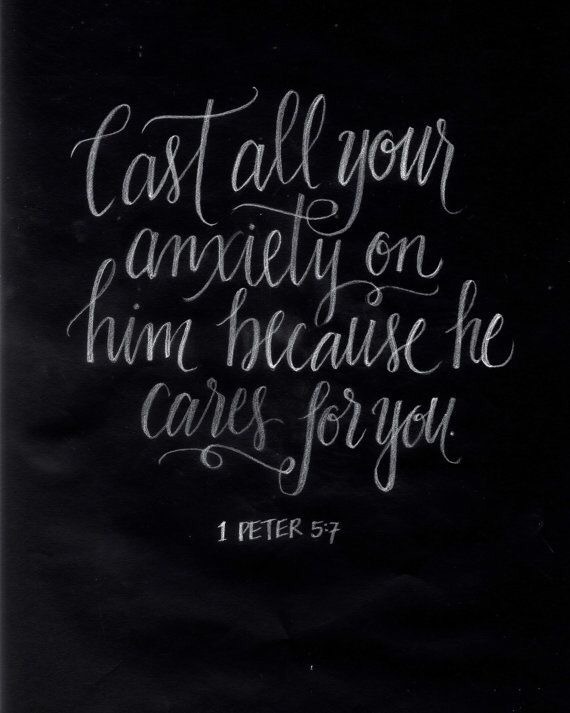 In order to cast ALL your anxiety on Him, you have to move your focus from your anxiety to your Savior. You focus on what your worried about, what you can’t control, what you are not strong enough to carry. You focus on the problem and how heavy it weighs upon your shoulders. You focus on your own hands when God is asking you to focus on His heart. He cares for more than you even realize. The answer is yes, He cares.